Article on Liam Lynch and his management of the Irish Civil War as it dragged on. While these men may be able to embarrass the Government for a while by raids from the Dublin Mountains, they are not likely to constitute anything in the nature of a serious menace to the State. Except things did not work out like that. Satisfied that the tide was turning in his favour, Liam Lynch, Chief of Staff of the anti-Treaty forces, held a meeting of the IRA Executive in October 1922. There, the senior officers discussed how best to manage the country in the victorious aftermath. An onlooker might have assumed from the way they talked that the civil war had already been won. ...our whole-hearted support and allegiance while it functions as the Government of the Republic, and we empower it to make an arrangement with the Free State Government, or with the British Government provided such arrangement does not bring the country in to the British Empire. 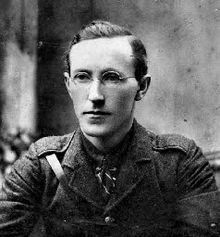 ...no real resistance was being offered to the Free State Army, apart from the Second Kerry and Fifth Cork Brigades and that we could never achieve anything we hoped for. Despite all this, Lynch was entirely unmoved in his steady determination to continue the fight. Lynch, in Deasy’s opinion, put far too much stock in the reports he received, many of which told him only what he wanted to believe. If only Lynch had seen more of the areas he was reading about, Deasy thought, and met the officers on the ground, he might have developed a more realistic view of what was possible – and what was not. Deasy could not help but admire him all the same. His commander was “to the very end an idealist with the highest principles as his guide and it was not in his nature to surrender or to compromise."